Arlo Guthrie in Concert Arlo Guthrie is the oldest son of folk-music legend Woody Guthrie, as well a musician of international renown in his own right. Guthrie — who plays piano, harmonica, six and twelve-string guitar and at least a dozen other instruments — performs a concert from WXPN and World Cafe Live in Philadelphia on Nov. 10. 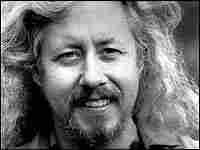 Arlo Guthrie is the oldest son of folk-music legend Woody Guthrie and Marjorie Mazia Guthrie, a dancer in the Martha Graham Company. He has become a musician of international renown without ever experiencing what can be classified a hit: While "Alice's Restaurant" and "Coming Into Los Angeles" were immensely popular among crowds at the 1969 Woodstock and Newport Folk Festival, they didn't gain much radio airplay. Guthrie performed a concert from WXPN and World Cafe Live in Philadelphia on Nov. 10. Music was a natural career choice for Guthrie, who grew up surrounded by musicians and dancers, and he started performing publicly at 13. An accomplished musician, Guthrie plays piano, harmonica, a six and twelve-string guitar and at least a dozen other instruments. His diverse talents also include arranging his own music, acting, writing, doing charitable work and running his own record label. Even after four decades of touring the world, Guthrie still tours almost 10 months a year, frequently accompanied by one or both of his children, Abe and Sarah Lee.